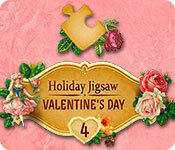 Holiday Jigsaw Valentine's Day 4 is rated 3.0 out of 5 by 2. Rated 3 out of 5 by laurenec from Valentine jig saw puzzle I love challenging puzzles but this one is not very challenging. I love a lot of details in the pictures. This is way too easy for me . I love putting jig- saw puzzles together, and the only way I can do that now is with Big fish games. My cats would have the puzzles pieces all over the floor if I was doing a puzzle on the table. Rated 3 out of 5 by pennmom36 from The Picture's Just Aren't That Appealing To Me Personally, Otherwise A Decent Jigsaw Variety I've always been a jigsaw puzzle junkie, the bigger the better, and I have a hard time pulling myself away from a puzzle until they are completed. I prefer the good old fashioned physical jigsaw puzzles, but sometimes virtual puzzles are more practical. The puzzles offered in Holiday Jigsaw Valentine's Day 4 however, just aren't that appealing to me, and it's just more of the same as within the last one, and the one before that. I like pictures of animals or beautiful sceneries, but this puzzle of course is Valentine's Day inspired with pictures in 5 categories: Couples, Gifts, Decor, Romance, and Wedding. Although there are several animal "couples" I wouldn't choose these scenes if I were buying a physical puzzle, therefore there's nothing that excites me enough to buy these puzzles either. Any puzzle can be modified with the amount of pieces you want, the style of cut and whether or not you want the pieces to rotate. 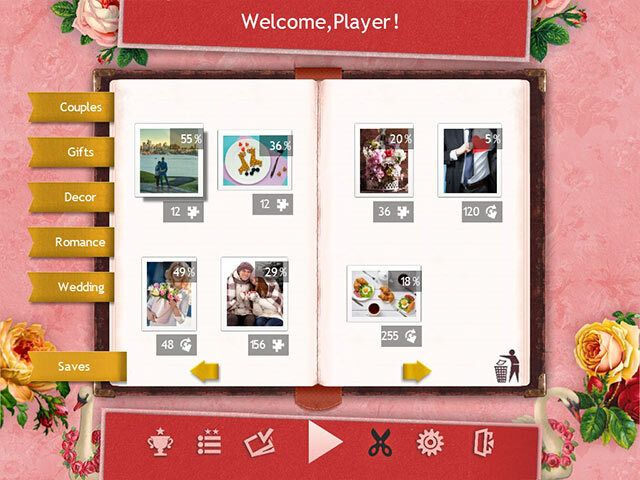 You can choose four different colored backgrounds, pink, blue, green and white, as well as choose your resolution. 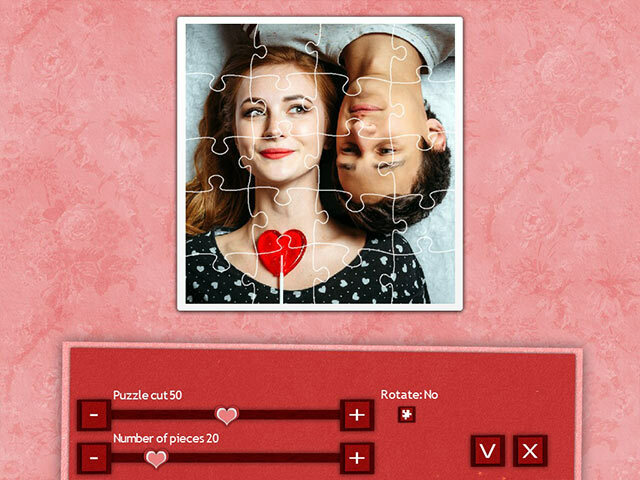 There are several tools available, you can choose to ghost the image of the puzzle on the background, or have a real picture shown in three different sizes. There is a Magnifying glass and a Hint icon, you can use the Border only option or the Sort option, and you can store extra pieces in the box until you have more room. Who knows, maybe # 5 will have more appealing pictures, enjoy! 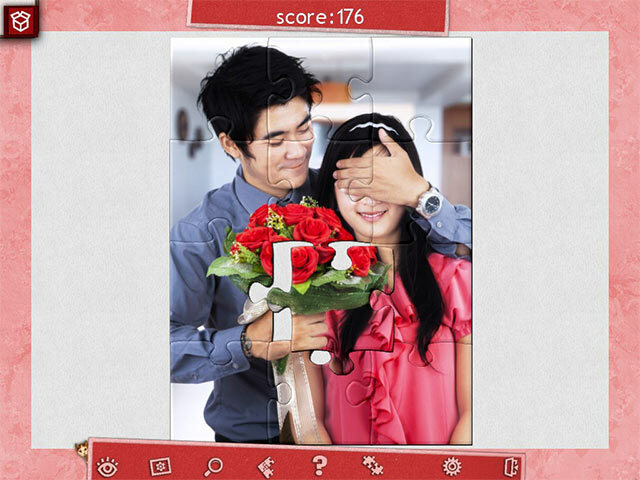 This Valentine’s Day, enjoy a new jigsaw puzzle game made in the spirit of love and romance.